The Guru is Verily the Para-Brahman (Supreme Brahman); Salutations to that Guru. Here is the notation for Sarali and Madhyasthayi Varisaikal. Chembai Vaidyanatha Bhagavatar was an Indian Carnatic music singer from the state of Kerala. Usually known by his village name Chembai, or simply as Bhagavatar, he was born to Anantha Bhagavatar and Parvati Ammal in 1895. Chembai was noted for his powerful voice and majestic style of singing. His first public performance was in 1904, when he was nine. He was a recipient of several titles and honours in his performing career of 70 years (1904-1974). He was known for his encouragement of upcoming musicians, and also for his ability to spot new talent. He was responsible for popularizing compositions like Rakshamam, Pavana Guru, among others. Swathi Tirunal was born in the royal family of Travancore on 16th April 1813. His musical compositons include different forms of music namely Tana Varnams, Pada Varnams, Swarajathi, Jathiswaram, Keerthanam, Padam, Tillana, Javali, Ragamalikas , Group Krithis and also North Indian Forms like Dhrupads, Khayals, Tappas etc. His group krithis include Navarathri Krithis, Navaratnamalika (Navavidha Bhakthi) Keerthanas and Ghana Raga Keerthanas and Utsava Sampradaya Krithis. Navarathri be with you throughout your life!! On the Occasion of Navarathri Festival, here are a few collection of pictures of Goddess Ambal in her different forms.. The word Saraswathi is of Sanskrit origin. This word originally derived from its root ‘Sr’ which means to move or to flow. Later the word developed as ‘sara’ meaning to flow. The word ‘Saras’ also means fluid, and the word ‘wati’ means easily. If the words are joined it gives the sense ‘easily flowing energy’. There are numerous references bearing the name of Saraswathi in the Vedas and other Hindu scriptures. 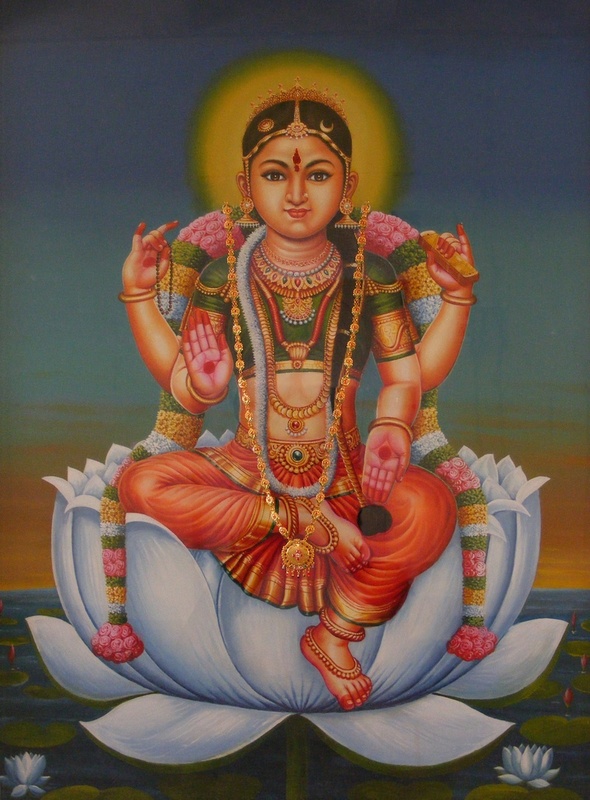 The notable features are the white Lotus, white swan, pearls and pitcher around her symbolize the association of Goddess Saraswathi with water. Moreover, the colour of these items together with her saree that she wears, predominates HER personage alludes to purity, tranquility and equanimity.